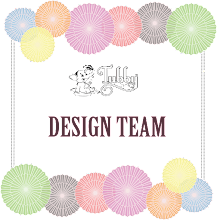 Using the same, i have designed frames, money envelops & cards. These stamps not only keep up to a crafter's expectations in terms of quality but also provides endless variations they can be used for. Now as the base is ready, lets convert it into a 3D frame using white card stock and give depth to the edges using distress inks. Use black pen to give the stitched effect on the card stock. Pop out the outer frame with double side tape. 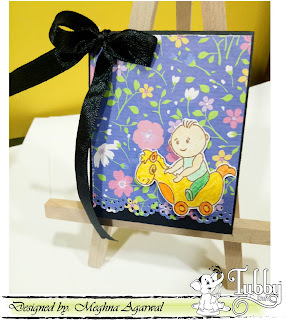 Stamp the baby images and sentiments on white card stock using archival inks. Pencil colour and fussy cut the images. Mount these mesmerising cuties on the frame using double side tape for lifted impression. To give a final touch, stick diamond dust using glossy accents. Another version of the frame can be made in MATTE finish for the girl following the same process detailed in Project 1. 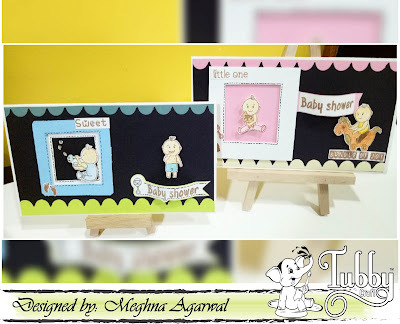 Not just frames, these Cutie Patootie stamp sets by Tubby Craft suit amazingly for envelopes as shown above. This tiny little tag card is surely to fall for. By now, i am sure, u must have also fallen for this cute stamp set just like me! Try them once and fall for them for life! !